Indian armed forces has always been a constant source of inspiration, encouragement and motivation for our generation. Today we take a look at some of Indian army’s most daring missions which ended up enthralling even the mightiest of superpowers. It is called Smiling Buddha for a reason. In the year 1974 when India was still on far down on the so called ladder of nuclear testing; America the superpower back then didn’t anticipate the Indians to successfully manage nuclear weapons test. But India eventually ended up having the last laugh by keeping the Americans under a delusion regarding the success of Pokhran-I conducted on May 18, 1974. Not many people know this but Indian Prime Minister Indira planned to uproot an uprising revolution against the government by deploying troops from 54th Division in Mauritius to help the then Prime Minister Anerood Jugnauth. The revolt was actively gaining popularity under the radical leadership of Anerood’s rival Paul Berenger. While the topic remains unconfirmed and debatable, till date the existence of a special secret force called SFF (Special Frontier Force) or maybe Establishment 22 is unknown. It is anticipated that this shadow secret army played a pivotal role in liberating Bangladesh and bringing to a land plagued with blood, slaughter and violence; peace. Condemned by many as an ‘Undeclared’ act of war, this operation has been one of the biggest achievements of Indian Army. Indian Army and RAW undertook Operation Chanakya to get Kashmir rid of the separatists groups promoting distress and violence. However, the major reveal remains that Kashmir people hate Indian Army for all their efforts to bring peace and serenity to the city. Residents of Kashmir even quoted that Operation Chanakya was more of a coup to show restraint and power of Indian Army over Kashmir. 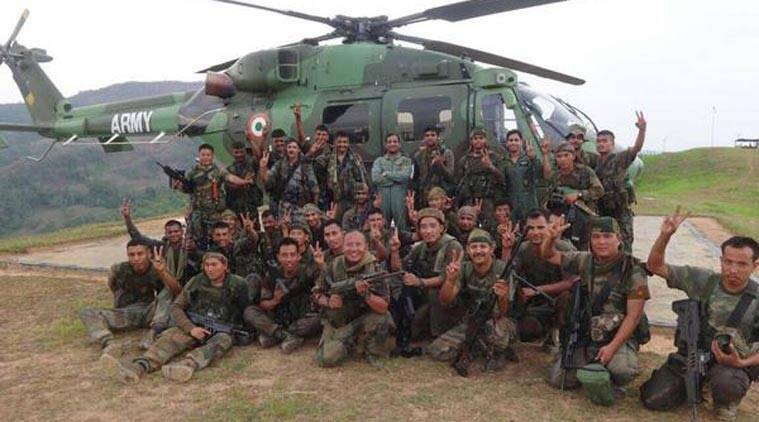 In a major act against cross-border terrorism, Indian Army carried out surgical operations deep inside Myanmar territory killing off rebellious militants. While official sources confirm it was carried out as a revenge attack details still seem sketchy. Chit chat highlighting the mission as a trade-off for gaining quintessential military equipment from Myanmar have been picked up, though the reports yet remain unconfirmed.